The St. George’s Dads Club arranges several social gatherings and fundraisers each year to bring together fathers and their children. Simply put, these are opportunities to get to know other St. George’s families while having fun at the same time. Some events the Dads Club has hosted are an afternoon of family fun at Rock ‘N’ Bowl, Dads & Donuts during Winter Book Week, cooking for the whole school during Field Day and most recently, a Mardi Gras concessions booth on the front lawn of the school during parades. Fundraising efforts support various academic and athletic departments at St. George’s. Recently, the Dads Club has funded upgrades to the school gym and new classroom technology. Join us for an afternoon of family fun! Kids bowl while the parents mingle, or parents can join in the bowling action too! 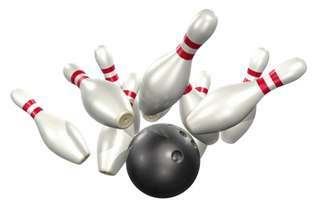 Admission includes bowling, shoe rental, food and drinks. Tickets are $30 at the door. Children under 6 are free. Super Bowl pool squares are still available! Each square is $50. We'll be selling the last available squares at Rock 'n' Bowl and we'll also be drawing the numbers for the pool, so don't miss out! Help support the Dads Club and St. George's and make sure you get your square before the big game! Please email Dads Club officers Adam Norris and Dale Gallagher with questions.